Mobile Order has begun at Columbia Harbor House which completes the roll-out of the service at Magic Kingdom. Mobil Ordering has also begun to roll out at Epcot. Electric Umbrella is currently online and Liberty inn will follow on August 7, 2017. Tables in Wonderland can now take advantage of the recently announced 30% discount for Annual Passholders and DVC Members at select resort restaurants. An important difference with the Tables in Wonderland discount vs the Passholder discount is that it also applies to alcoholic beverages. You can now order one of Disney's Minnie Vans using the popular Lyft app. “Playing a part in a family's experience at the most magical place on earth is a dream come true,” Lyft President John Zimmer said. Minnie Van Service will be priced at $20 per trip per vehicle, with testing currently underway at Disney's BoardWalk and Yacht Club Resorts between 6:30am and 12:30am. Guests staying at Disney's BoardWalk Resort and Disney's Yacht & Beach Club Resorts can learn more by visiting the Bell Services desk. 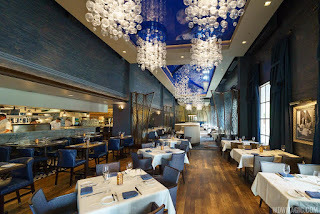 Later, the service will expand to more locations throughout Walt Disney World. Unlike Disney's Magical Express service which is operated by third party Mears, Minnie Van drivers are actually Disney cast members. 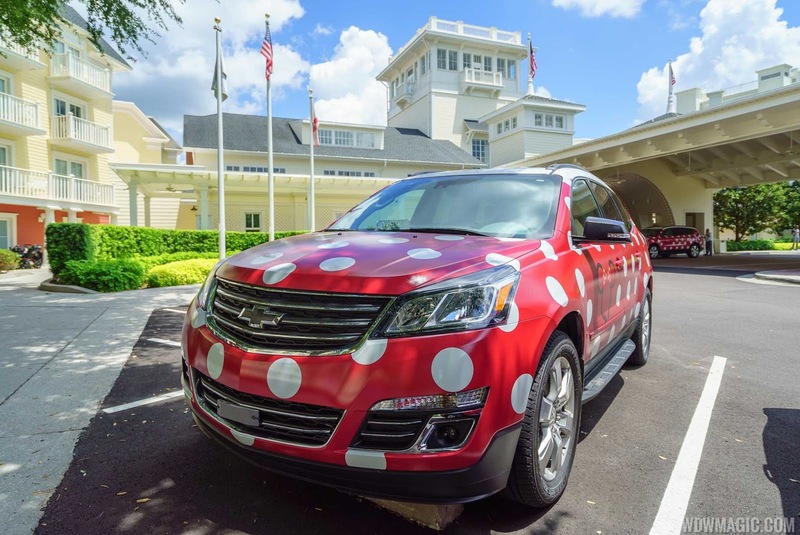 Under the wrap, Minnie Vans are a 2017 Chevrolet Traverse Premier mid-sized SUV, which offers three rows of seating. The second row features captain's chairs (two full size seats), and the back row can seat three, giving a guest capacity of six. Disney has also equipped its fleet of Minnie Vans with two Graco car seats. The operating hours for A Pirate's Adventure: Treasures of the Seven Seas at the Magic Kingdom have been significantly reduced. New operating hours are 12:00 PM to 6:00 PM daily, down from the usual park open to near park close. Yak and Yeti Local Foods now serves breakfast at Disney's Animal Kingdom. Menu items include Breakfast Tacos at $9.99, Sausage and Egg English Muffin at $9.99 and a Bacon and Egg Sandwich at $9.99. View the full Yak and Yeti Local Foods breakfast menu. Breakfast is served daily from 9:00 AM to 10:30 AM. “American Idol,” will debut on its new home at ABC in 2018, and open auditions will begin at the Walt Disney World Resort. The Idol bus will be at Disney Springs on August 17 giving you the chance to audition with “American Idol” Producers. (Celebrity Judges will not be on site.) Early arrival is encouraged. Parking will be available as early as 4:00 am, but not before. Registration will begin at 6:00 am with auditions starting at 8:00 am. Early arrival is encouraged, as registration will close at 12:00 pm or sooner due to capacity. No overnight camping will be allowed. The auditions will take place outdoors. Parking will be available at the surface parking lot on the West Side of Disney Springs, near House of Blues and Cirque du Soleil. All singers must be at least 15 years old to audition. Pre-Registration is encouraged. To Pre-Register and for additional details, full eligibility requirements, submission forms, and terms and conditions, visit www.americanidol.com. Those auditioning can bring one guest to accompany them and the guest must be over 5 years old. Disney Springs will debut a new hyper-reality experience this fall, "Star Wars: Secrets of the Empire." Star Wars: Secrets of the Empire will plunge guests directly into the iconic Star Wars galaxy. They will move freely throughout the untethered, social, and multi-sensory Star Wars: Secrets of the Empire experience in a way that allows them to interact and engage with friends, family and Star Wars characters. This ground-breaking experience will open to the public at two new VOID Experience Centers at Downtown Disney at Disneyland Resort and Disney Springs at Walt Disney World Resort beginning this holiday season. Trouble viewing the video? Click here to view the video on YouTube.